Magna has a broad story to tell about its stellar credentials in Autonomy. 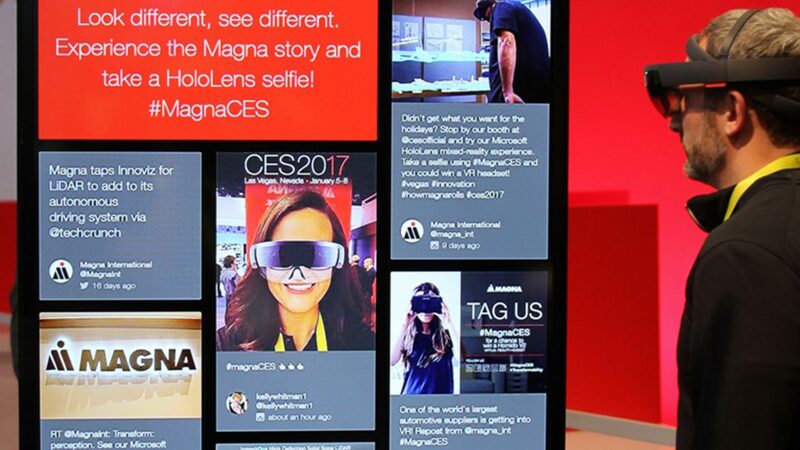 From Frankfurt to Las Vegas, global leader Magna leverages its presence at shows like IAA and CES to create a lasting impression on influential automotive OEM prospects. 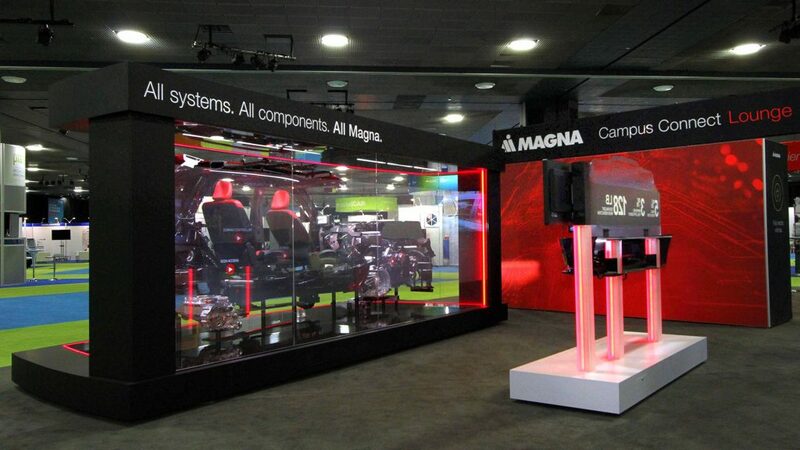 Magna turns to EEI’s broad expertise in brand strategy, design, vehicle cutaways and digital interactives to deliver the wows. 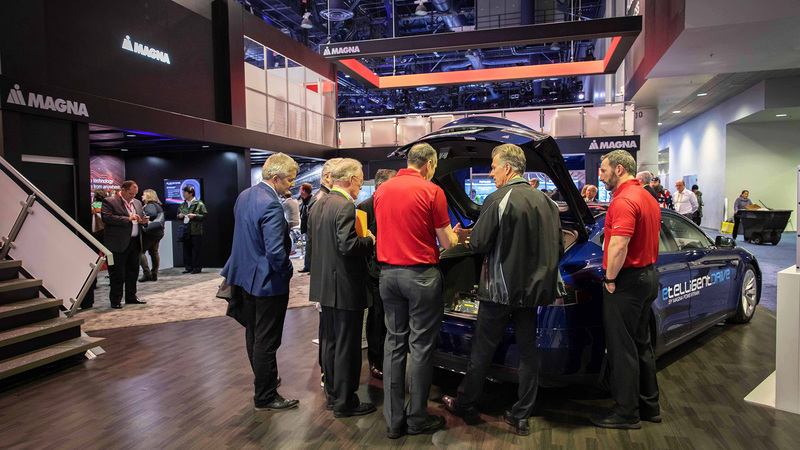 Magna stands above the crowd in the world of Autonomy thanks to the company’s whole-vehicle expertise. How better to demonstrate the whole-vehicle story than with … well … a whole vehicle? EEI custom-designed a concept cutaway with touchscreen interactives to make this unmistakable point: All Systems. All Components. All Magna. 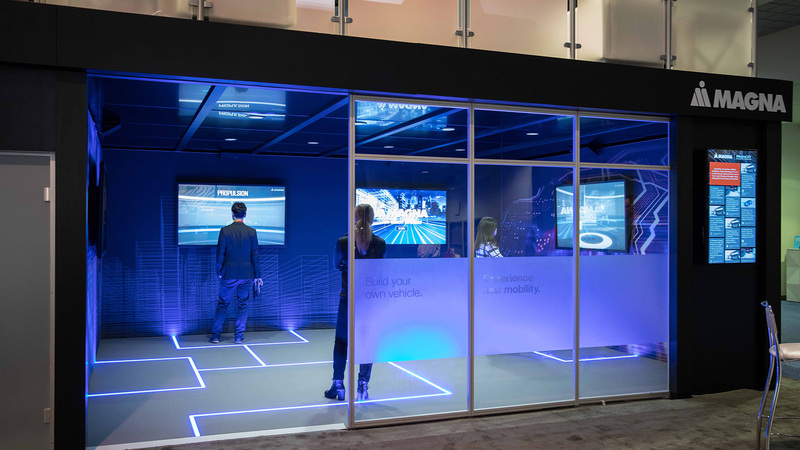 The whole-vehicle installation served as the focal point of the display, but it wasn’t the entire story told at IAA. 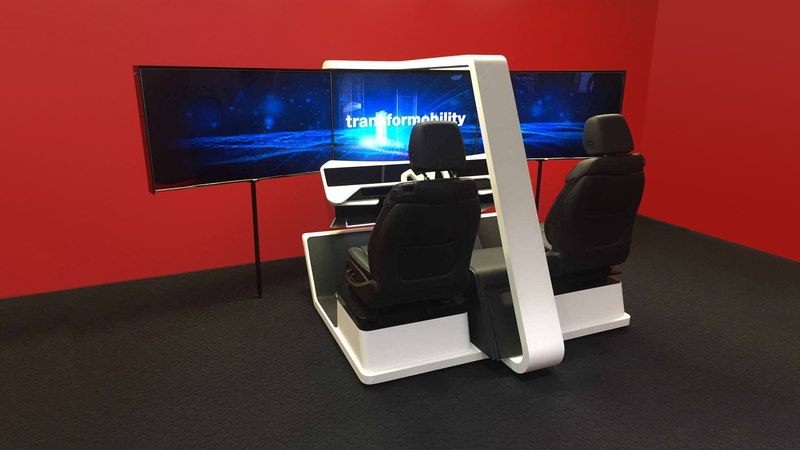 A simulator with animated film experience communicated the context of Magna’s broad vision. Supporting media provided detail important to this discriminating audience. 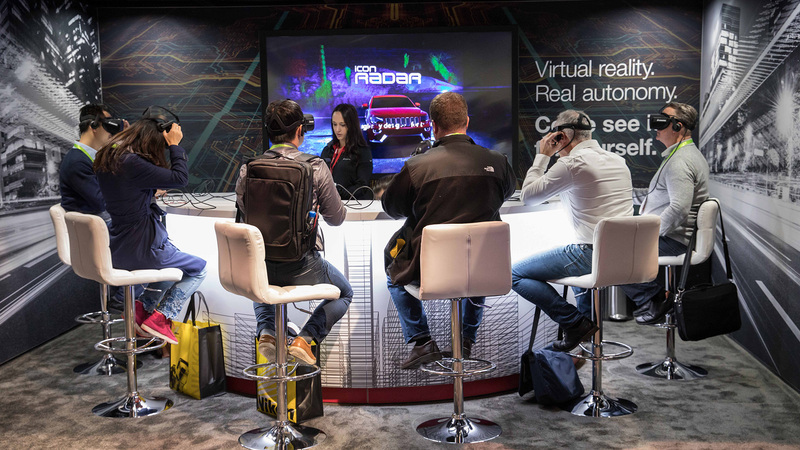 The story continued at CES 2018 with a virtual reality “bar” revealing innovations in radar technology, and the Black Room, where VIPs could really drill down into Magna’s Mobility Platform. These and other elements in the display worked together to fill out the breadth of Magna’s offer. Working with a global leader like Magna in the complex world of Autonomy draws on the wide-ranging talent within EEI’s multi-disciplinary team, and our experience with Tier I clients. Our strengths from strategy to fabrication give our client’s visitors great experiences along with valuable, actionable content.